Browsing Category " Best Nightclubs in Quezon City "
URBN opened a new branch in Quezon City in September 2015 (see my review of URBN BGC here). It replaces the 88 SuperClub which closed down a few months earlier. It is one of the best looking nightclubs in Quezon City. As its name suggests, it is a urban club, NY-style, with a main dancefloor and sofas all around. You have a good lighting and sound system too. The crowd is almost exclusively local, between 18 and 25. There are about 25% girls but most of them are with groups. Still, there are a few opportunities for picking up and the atmosphere is friendly. Their current best promo is 6 local beers + 1 bottle of José Cuervo for only 950PHP (less than 20$). On Wednesday, you can also get free drinks if you arrive early (50 first guests). Cliniq Gastrobar is the new name of Space Superclub, one of the most popular nightclubs in Quezon City, Metro Manila. As the prices are lower than average (current promo is 400 PHP for 6 beers), it attracts mostly younger people between 18 and 25, almost 100% local. With a 250 persons capacity, it gets crowded and smokey very easily starting on Thursday night until Saturday. Customers are generally very welcoming and they know how to party hard. It is not rare to see people passing out on the dancefloor from drinking too much. Girls don't hesitate to dance on the podium and it's not too difficult to grab a few girls' phone numbers. 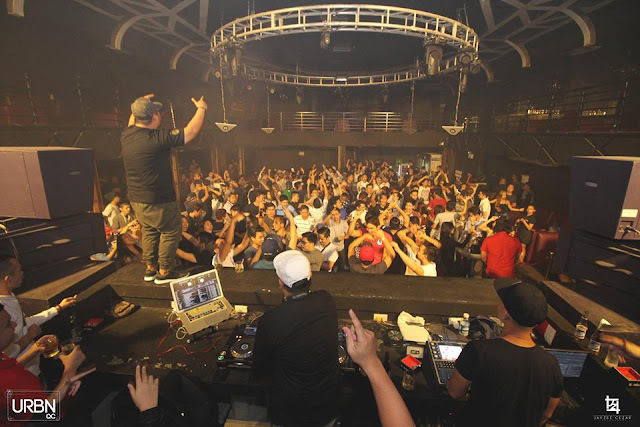 Vanity SuperClub is located in Quezon City, Metro Manila. If you are familiar with QC nightlife, you know that in this area, clubs are cheaper than in Makati or The Fort. They also tend to welcome a younger crowd of Filipinos, with only a few expats once in a while. Vanity is not different, but it looks nicer than many other venues in QC. It is middle sized (350 pax capacity), with a main bar in the middle of a square room. It is usually quiet on weekdays but full on Saturdays and Sundays with a very lively party atmosphere.